What makes the Shake Shack machine so well oiled? As part of Advertising Week 2013, Cooking Light editor-in-chief Scott Mowbray moderated a panel with Shake Shack CEO Randy Garutti, along with two other food CEOs -- Adam Carr of Tribe Hummus and Renée Frigo Graeff of Lucini Olive Oil. Just last week, Shake Shack opened in Beirut -- its 33rd location worldwide. This small burger chain's international expansion is on a tear, with Istanbul coming soon and recently-announced plans for Moscow. When Garutti asked the 200-person audience how many people had been to Shake Shack, the majority of hands went up. 1. 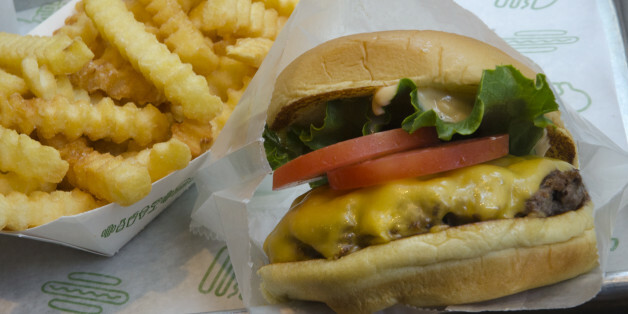 Shake Shack never set out to be a major burger chain. Shake Shack was started as a hot dog cart in Madison Square Park, and all profits went to the park. Only after the cart grew in popularity did parent company Union Square Hospitality Group start further developing the concept. And only after several years in Madison Square Park did Shake Shack open a second location. 2. "The bigger we get, the smaller we need to act." This philosophy is Garutti's guiding principle; the printed quote is one of the two things he has framed in his office. The second is a napkin sketch of the original Shake Shake concept, to make sure he always stays true to the brand. 3. Local food is important, but it isn't everything. "There's a difference between local and doing things the right way," explained Garutti. Two of the three top-performing Shake Shacks are in the Middle East, where no local ingredients are used -- Dubai is in a desert, after all. When the company thought to incorporate some local ingredients, like dates, the Middle East partners rebuffed the idea. They wanted an outpost with classic Shake Shack fare, even if it couldn't be found locally. Shake Shack recently opened in London, where Garutti had the opposite experience. He worked with renowned British chef Fergus Henderson to create brownies for the chain, found local sausages on the coast of England and walked around farms in Scotland to find quality beef. 4. Social media and smart phones are your friends, not foes. Garutti credits the smart phone with allowing people to wait on an hour-long burger line because their phones let them "pretend like they are at work." And social media allows Shake Shack to get its message out. Recently, people waited on line as early as 4 a.m. to sample a Concrete made with cronuts. "We got more play out of that than anything we could have imagined," he said. The best part? One hundred percent of sales went to charity. The power of a simple photo posted online can go a long way. Take this recent photo of some of the most famous chefs in the world eating at Shake Shack. The image says it all. 5. Acknowledge when you aren't the best, and fix it. Last year, New York Times restaurant critic Pete Wells reviewed Shake Shack. He was a fan of the burger (well, some of the time) but claimed that "you can get better fries just about anywhere." Shack Shack listened, and recently debuted non-frozen fries at its Upper East Side location. All the employees are currently rocking a t-shirt that says "Heard" with an image of french fries. Pete Wells was also given the same t-shirt. 6. Expand deliberately. When it comes to expansion, Garutti says that Shake Shack never expands until the right leadership is in place. From there, the chain only wants to go to places that has a community interested in embracing it. For example, the team did its due diligence to make sure there was demand for a location in Boston (being that Boston and New York don't always get along...), before opening. The result? Lines out the door all day. Smashburger is on fire. 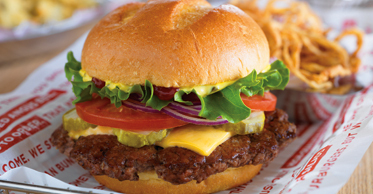 It is expanding at a high clip, opening <a href="http://smashburger.com/2012/12/smashburger-opens-first-latin-america-restaurant-costa-rica/">international ventures</a>, and is even preparing to <a href="https://www.huffpost.com/entry/smashburger-expansion_n_1690562">take on In-N-Out</a>. The chain currently has locations in 27 states, so if it hasn't invaded your state yet, it might only be a matter of time. The patty is smashed, seared and seasoned to order, so it may take you slightly longer to get your order than at a fast food restaurant, but we'd argue that those few extra minutes are well worth the wait.